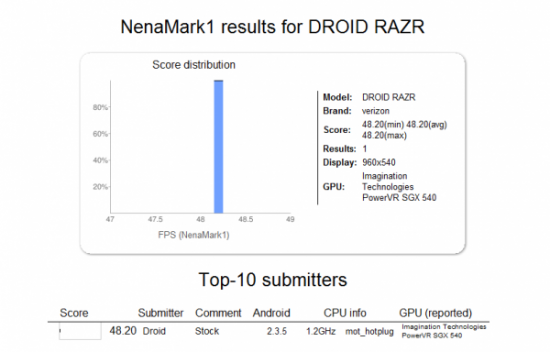 According to a recently posted NeneMark benchmark report, Motorola indeed looks to combine two of its most iconic brands with the introduction of the Droid RAZR. 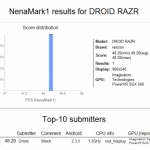 Speculation has tied the Motorola Droid RAZR to the previously rumored Droid HD, though NenaMark’s mention of a 960×540 qHD display casts some doubt on the connection. Then again, the lack of an HD display may account for the phone eschewing the name in favor of the RAZR moniker. Also revealed is a 1.2GHz OMAP 4430 CPU. It is always cautioned not to put too much faith in these online benchmark reports, as their contents are subject to manipulation. 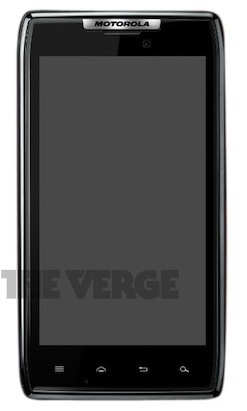 The Droid RAZR should drop in time for the holidays as a member of Verizon’s ever-expaning lineup of Android handsets. With the Droid Bionic out of the way, it is fully expected the RAZR will carry a 4G LTE radio and be ready to run with the best of them. Gameloft is throwing a “fall weekend sale” for a few of the biggest and baddest in Android gaming. HD titles like, the first-person shooter N.O.V.A., family fun UNO, action-platformer Assassin’s Creed and the action-racing Asphalt 6, are all being offered up for only 99 cents this weekend only. Even if you hate gaming, there’s no denying it’s a great deal. Just hit up the source link and get to downloading. Look! It’s Godzirra! Okay, not quite. 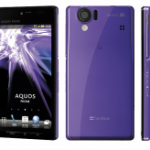 But it is another amazing Android smartphone from Japan — this time featuring a huge 4.5-inch 1280×720 HD display. Apparently, Sharp is the Android manufacturer to beat with 25% of the market share in Japan. 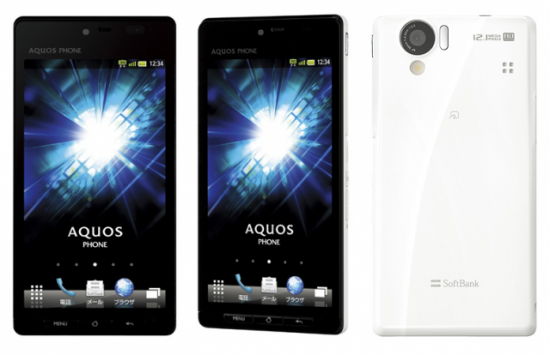 The Sharp AQUOS Phone 102SH is the company’s latest offering of premium Android handsets for the masses. Let’s show them specs! It doesn’t just stop at the aforementioned 4.5-inch HD screen. This crystal clear AQUOS display also features glasses-free 3D with a pixel density of 329dpi (I got goosebumps). Also on the menu is a 12MP CMOS camera with HD video recording capabilities, 1GHz TI OMAP4430 dual-core processor, 1GB of RAM, 2.2GB ROM and once again — its waterproof. My favorite part? The infrared connection and digital TV tuner. 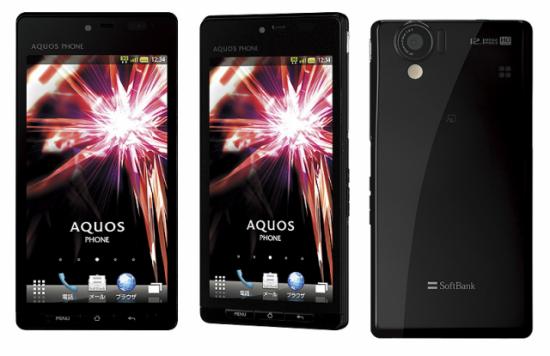 The Sharp AQUOS Phone 102SH will also take advantage SoftBank’s “Ultra Speed” 21Mbps network in Japan. No word yet on pricing but the Sharp AQUOS 102SH is expected to debut in Japan in December with mention that it could see a worldwide release sometime in the near future. Call it the “grass is greener” syndrome but I’m really digging the design and color options of these Android handsets coming out of Japan. What do you guys think? Hot or not? What the…?! Apple Cancels iPad 2 HD, Throws Away 1 Million Units in Favor of iPad 3?! In a piece of news that seems hard to believe for an efficient company such as Apple, it appears that the Cupertino giant had already produced a million units of the iPad 2 HD. This is the Retina Display version of the tablet, that has apparently been canned, in order for the iPad 3 to be launched in January 2012. The info comes from Jefferies & Co analyst Peter Misek, with the usual inside sources. Misek is making all of these unveilings in a recent note posted online today and it’s pretty strange to see a new iPad in January instead of March, as one would expect. Also, why would Apple debut a new product in January when everyone is pennyless after Christmas shopping?! When Samsung introduced their Galaxy S II flagship, one of the biggest enhancement over its predecessor was the inclusion of a Super AMOLED Plus display. The differentiating factor between the two was the move from a PenTile matrix display to a screen that featured true RGB pixels, providing a much smoother representation of color and increased clarity. However, with the announcement of their behemoth Samsung Galaxy Note and its 5.3-inch HD display, the Korean manufacturer has arguably taken a step back in terms of screen technology. 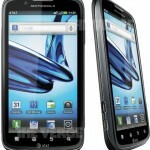 While screen resolution is improved in the Note and the recently announced Samsung Galaxy S II HD thanks to the new Super AMOLED HD display, the absence of the “Plus” modifier indicates a regression back to PenTile technology. 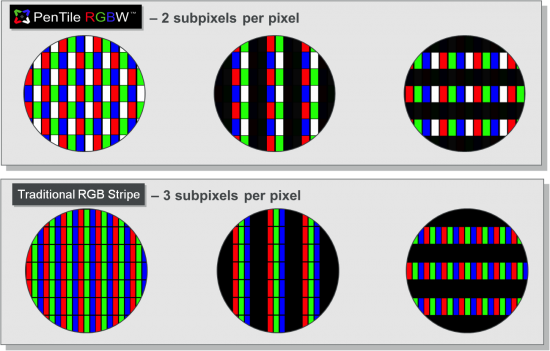 PenTile displays work by assigning only two colored subpixels to each pixel, rather than three RGB subpixels as found in the Galaxy S II and its Super AMOLED Plus screen. 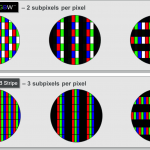 With a PenTile matrix screen, certain colors must be approximated by combining the subpixels of two adjacent pixels, creating colors that don’t read as true and images with sharply crosshatched edges under close examination. If that all seems confusing, the basic takeaway is that a PenTile screen effectively only displays images at half the advertised resolution. PenTile displays recently deployed by Motorola have faced scrutiny for the above mentioned problems, but initial reviews of the Galaxy Note don’t seem to attribute the same issues to the oversized handset’s display. Perhaps this is due to the increased HD resolution masking some of the issues normally associated with screens deploying PenTile matrix technology. For better or worse, it would seem this same display will find its way to the Samsung Galaxy Nexus. 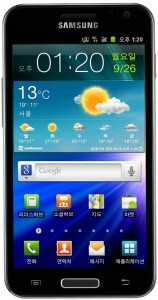 Perhaps we will simply have to wait for the Samsung Galaxy S III for a proper Super AMOLED HD Plus display. 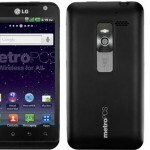 MetroPCS has officially announced their high-end LG Esteem smartphone. Specs start off with a 4.3 inch WVGA display, a 1GHz processor, 512 MB of RAM, a 5 megapixel HD rear camera with a 1.3 megapixel front camera, 8GB of internal storage, a micro-HDMI port and more. We’ve also got 4G radios inside. Metro’s offering this thing for $250 with no contract ($100 mail-in rebate pending). That price is available through January 1st and if you go ahead and activate the $50 4G data plan, you’ll get 90 days of rhapsody access for free. Can’t really beat that. Head to your local store or go online at MetroPCS.com to get started. Read on for full press details. 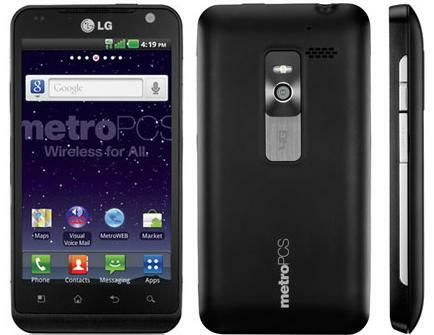 DALLAS - (September 28, 2011) - MetroPCS Communications, Inc. (NYSE: PCS), and LG Mobile today introduced the latest addition to MetroPCS line-up of 4GLTE – enabled smartphones with the entertainment-packed LG EsteemTM. Available this week in stores and online, the chic new LG Esteem 4GLTE Android smartphone delivers an incredible entertainment experience for customers including music and multimedia applications like Rhapsody Unlimited Music and MetroSTUDIOTM. Powered by Android 2.3 (Gingerbread), LG Esteem features a sleek, modern design for style-conscious consumers looking for the latest smartphone technology. "Our customers want more entertainment services and multimedia, and the LG Esteem delivers all of the multimedia they desire right at their fingertips with the easy access afforded by our 4GLTE network," said Tom Keys, president and chief operating officer of MetroPCS. "By pairing a premium handset with the latest features and our unbeatable service offerings, we are providing our customers with a tremendous value. Were the only no-annual contract, pay-in-advance carrier providing 4GLTE service today, and with our latest 4GLTE smartphone, consumers can take full advantage of our network and the exploding array of Android market applications available today." At about half the cost of other 4G smartphone service plans today, consumers can truly have it all with MetroPCS $50 and $60 4GLTE plans, which include all applicable taxes and regulatory fees. For just $60, consumers can choose between unlimited music with Rhapsody or video entertainment with MetroSTUDIO - on top of unlimited Internet access, voice and texting services. With the vast music library provided by the new Rhapsody Unlimited Music service, music lovers can play, download and store or stream as many songs as they want, free from the per-track charges that come with most other music download services. "LG Esteem is the ideal device for entertainment savvy consumers looking for on-the-go content and the latest Android technology," said Tim OBrien, vice president of marketing for LG Mobile. "Together with the MetroPCS 4GLTE network, LG Esteem provides users with a wide variety of features not previously accessible to no-annual-contract mobile consumers and delivers a truly enhanced user experience." Capturing and sharing personal multimedia has never been easier with a front-facing camera and 5MP rear camera with flash, 720p HD video recording, allowing users to watch videos and view images directly from the handsets brilliant 4.3" WVGA screen or use the micro-HDMI port and DLNA streaming capability to transmit HD content directly to home entertainment units, as well as face-to-face video calling using the Esteems pre-loaded Google Talk Application. In addition, LG Esteem is equipped with a 1GHz processor, 8GB of internal memory and Dolby® Mobile Surround 7.1 and a Corning® Gorilla® Glass Screen Protector. Combined with MetroPCS 4GLTE service, LG Esteem provides an unparalleled Internet and entertainment consumer experience. LG Esteem will be available for $249 plus tax, after mail-in rebate, through January 1, 2012. Plus, customers purchasing the LG Esteem will receive Rhapsody Unlimited Music FREE for 90 days through a limited time promotional offer when they activate the $50 4GLTE service plan. Consumers interested in purchasing the LG Esteem can visit their local store or go online to purchase the phone and sign up for service. Dallas-based MetroPCS Communications, Inc. (NYSE: PCS) is a provider of no annual contract, unlimited wireless communications service for a flat-rate. MetroPCS is the fifth largest facilities-based wireless carrier in the United States based on number of subscribers served. With Metro USASM, MetroPCS customers can use their service in areas throughout the United States covering a population of over 280 million people. As of June 30, 2011, MetroPCS had approximately 9.1 million subscribers. 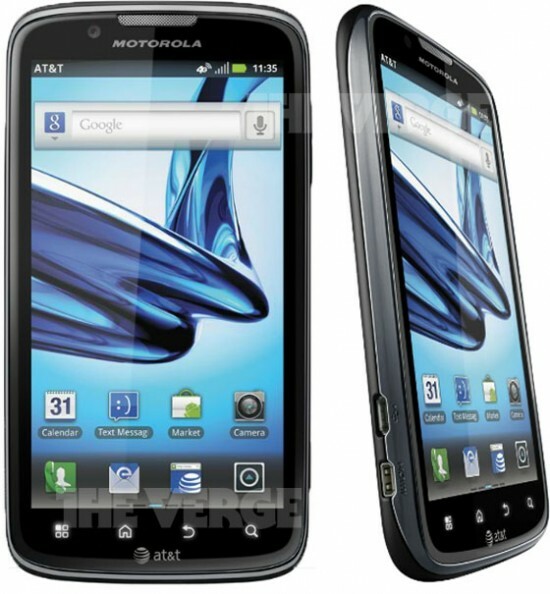 For more information please visit www.metropcs.com. LG Electronics, Inc. (KSE: 066570.KS) is a global leader and technology innovator in consumer electronics, mobile communications and home appliances, employing more than 93,000 people working in over 120 operations around the world. With 2010 global sales of 55.8 trillion Korean won (USD 48.2 billion), LG comprises four business units - Home Entertainment, Mobile Communications, Home Appliance, and Air Conditioning & Energy Solutions. LG is one of the worlds leading producers of flat panel TVs, mobile devices, air conditioners, washing machines, and refrigerators. LG has signed a long-term agreement to become both a Global Partner and a Technology Partner of Formula 1™. As part of this top-level association, LG acquires exclusive designations and marketing rights as the official consumer electronics, mobile phone and data processor of this global sporting event. For more information, please visit www.lg.com. Samsung already produces some pretty stunning smartphone displays but they’ve just upped the ante in Korea by announcing the Samsung Galaxy S2 HD. 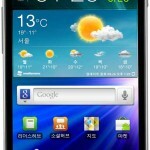 The Galaxy S2 HD shares almost identical specs as the Galaxy S2 LTE already announced for the region – including a 1.5GHz dual core processor, 8MP camera, and NFC chip – but sports a 4.65-inch HD screen with 720 x 1260 pixel resolution. The S2 HD will be available on all of Korea’s major carriers but international availability hasn’t been announced. That may leave some of you with a tingly feeling of emptiness in your belly that even a full pack of Tums can’t patch up but don’t worry… we’re thinking Samsung will bring their Chicken Soup for the HD smartphone display soul across the pond in the near future. And if not, maybe pick up your current smartphone and rub sone ‘Tussen on it. It wouldn’t be a Monday without some juicy leaks to sink our teeth into. This is My Next have gotten their hands on a press shot of a supposed Motorola Android phone that is said to have some pretty interesting features. It’s said to be getting LTE radios – meaning either AT&T or Verizon could carry it at this point, and will also supposedly come to market with a never-before-seen 4.3 inch qHD Super AMOLED display. This is said to be the Motorola Spyder we’ve been hearing about, but they suggest it could be branded the Motorola DROID RAZR when and if it makes its way to Verizon. Another possibility would be that this is the Motorola DROID HD with TIMN claiming their tipster is almost certain these are the same phones. It all gets so confusing. Other rumored specs for the Spyder include a 1.2GHz dual-core processor, an 8 megapixel 1080p rear camera, an as-yet unheard of HD front-facing camera (likely 720p), 1GB of RAM and Webtop functionality. 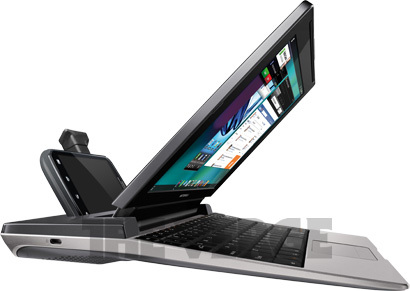 TIMN has also procured shots of the next Motorola ATRIX phone alongside its newly-designed Lapdock 100. Inside will be what we expected: 1GB of RAM, 8GB of internal storage, an 8 megapixel camera with flash (and likely with HD video recording), a front-facing camera and a 4.3 inch qHD display. It looks like LTE radios won’t be inside but you do get HSPA+. The Lapdock to go along with it is interesting as it takes a bit of a turn away from the designs we’ve seen Motorola use for current devices. Aside from the notable aesthetic changes you see below, we’re told it’s going to have a 10.1 inch display, down from current models’ 11.6 inches. Google’s enabled movie buying and rentals in the Android market for those right above us. Mobile Syrup reports that they are able to rent and buy HD movies just like those of us in America have been able to do. We hate that it took so long, but progress is better than no progress. Let’s hope they get it rolled out to the rest of the globe before too long. Check it out in the Android market (you’ll need Froyo or better).